How to test pH levels in water? There are a lot of health claims associated with alkaline water – that it helps the body buffer acidity, that it detoxifies the body, boosts the immune system, leads to better hydration, better health and performance. But are these benefits actually true? Or is alkaline water an over-priced product that received so much praise only as a result of a good marketing ploy? 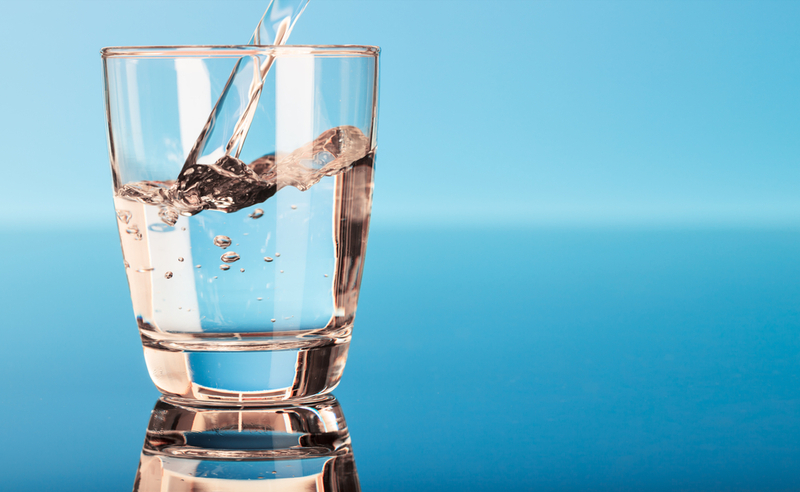 While some purported benefits of alkaline water are accepted by the scientific community, other health claims don’t seem to be supported by scientific evidence. Do you really need to alkalinise? The health craze around alkaline water has been going on for a while now. Proponents of alkaline water believe that switching to it will result in a marked improvement of your health and fitness. But what is alkaline water? Compared to tap water, alkaline water is less acidic, which means that it is abundant in alkalinizing compounds such as potassium, silica, calcium, magnesium, and bicarbonate. On the pH scale, alkaline water measures above 7.0, while water that has a pH below 7.0 is considered acidic. Tap water usually measures below this threshold, and it is considered acidic. Which are the alleged benefits of alkaline water and why should you consider giving it a try? How to make water alkaline? Alkaline water is water that has a pH level of around 8 or 9, and it has become all the rage due to its many purported benefits of supercharging your immune system, boosting your metabolism, decreasing acidity in your organism, and contributing to better nutrient absorption in your body. 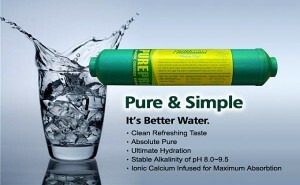 With all these benefits lined up, it is no wonder that alkaline water has become so popular. The shelves of supermarkets are packed with different kinds of bottled alkaline water, but there are less expensive ways to make your own alkaline water. Find out how to cut down on expensive bottled alkaline water and how to make alkaline water at home. The PurePro Alkaline Water Filter Cartridge works with a reverse osmosis water filter system and it is usually used in the final stage of the RO filtration process as a post-filter cartridge in order to reintroduce into the water the minerals lost during the filtration process. 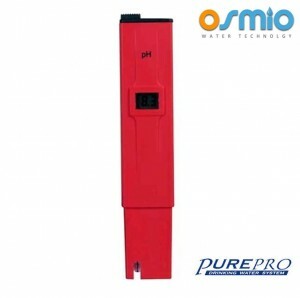 The PurePro alkaline filter raises the pH levels of distilled water or RO water to a level between 8.00~9.5 and turns the mildly acidic RO water into softer water, thus, making it full of nutritional minerals. This results in healthier and more palatable drinking water. The benefits of alkaline water to your health are numerous: fluctuations in your body’s pH levels are reduced, it has antioxidant and anti-aging properties, contributes to a better functioning of the immune system and keeps you more hydrated by helping the body absorb more water. Are Reverse Osmosis Filters Worth It? Which Kitchen Tap is Best with a Filter? How do Water Filters Clean Water? Copyright © 2013 - Webshop Central Ltd. All rights reserved.